If you're on this site, you already know the Garage is a great place for vintage shopping. In fact, the neighborhoods of Uptown, Andersonville and Edgewater have become go-to districts for vintage shopping in Chicago. Since there are over 30 vintage and resale shops within 1 mile of the Garage, you've got plenty of choices. We've provided the following guide to help you differentiate the types of venues that offer retro goodies. Antique malls - These are for the shopper who want a lot of great merchandise in one swoop. 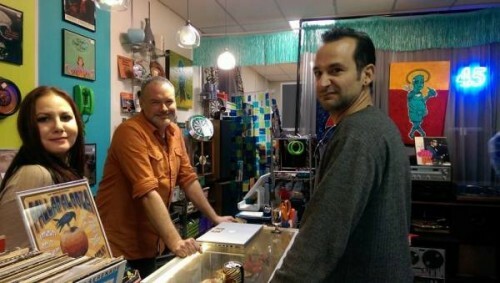 Antique malls usually have 75 to 100 vendors who rent space. Vendors can rent a large booth the size of a room, or rent a space as little as a shelf. You should find a variety of merchandise in all vintage categories. If you stop in once a month, things should be changed up enough for you to constantly discover fresh merchandise. If this happens, you know you're in the right vintage place. Get to know the people behind the desk and let them know what you are looking for. Vendors take a lot of time seeking quality merchandise to present, which will reflect in the prices. Vintage goods from 25 years ago and older were generally made by higher quality standards. Vintage Stores - Vintage shopping in stores is similar to a mall but smaller, making it more boutique-like. Usually there are 1 to 5 vendors in a shop, who specialize in different types of vintage or decor: Shabby Chic, Midcentury, etc. Ask for help and they will definitely keep an eye out for what you are looking for. Expect to find their merchandise to change frequently. Second Hand Shops - Second hand stores can provide a different kind of experience all together. Resale shops generally receive both old and new merchandise, either donated or given on a consignment basis. Resale stores usually price items very reasonably so they can turn their merchandise over quickly. Thrift Stores - Thrift stores are usually filled with donated items, with proceeds going to a charity. Again, this is a store with employees, rent and staff. While prices can be good and interesting goods can be found, thrifting is time consuming and you can scour many a rack and find nothing. 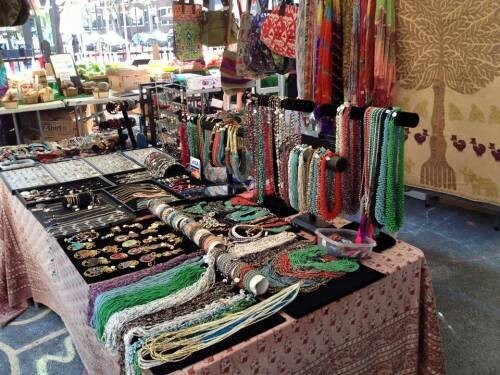 Vintage Markets - Vintage markets are a time sensitive shopping experiences. They will usually be held for one or two days. Dealers will bring in good and set up in a space quickly with a group of other vintage dealers. In shows like this, you will often find vendors who have traveled in from other areas to reach a new audience. These markets present an opportunity to see a lot of goods in a short amount of time. The shows are usually vetted in some way, with all vendors selling vintage or antique goods. Flea Markets - Fleas are also time sensitive; Vendors set up quickly for a one or two day market. They often admit any type of goods: new, old, handmade, mass produced, food and more. You will usually find Flea Markets outside, or in large indoor warehouse type buildings.